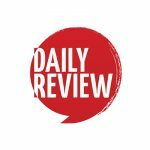 Gaming: the question of eSports in Australia | Daily Review: Film, stage and music reviews, interviews and more. The origin of eSports goes back as far as the 1980s when Atari organised the very first event in the name of The Space Invaders Tournament. The competition was held in the USA and involved more than 10,000 players. PC gaming has grown through the 1990s and the 2000s and number of tournaments organised by publishers and the foundation of professional organisations has sprouted with eSports becoming one of the most important parts of the gaming culture. According to a SuperData research on eSports from April 2014, over 71 million people around the world watch competitive gaming (although half come from the US). The tournaments’ prize pools are gigantic — generally involving millions of dollars — and publishers such as Blizzard and Riot have contracted players. As Forbes pointed out last year, the US even started granting professional athlete visas to international players. Thirty years after The Space Invaders Tournament, competitive gaming has finally reached a ‘worldwide’ mainstream audience. Note that the apostrophes wouldn’t be necessary if Australia wasn’t struggling to give eSports the recognition it deserves here . The biggest eSports organisations such as the Electronic Sports League (ESL), the Korea eSports Association (KeSPA) and the Major League Gaming (MLG) are all based overseas. When the KeSPA was founded (in 2000), South Korea saw an exponential growth in Internet and gaming cafes and more than half of its population was playing online games. This resulted in publishers — sensing a high demand in online gaming — investing more time and money in the development of eSports there. More recently in America, the MLG announced the MLG.tv Arena in Columbus (Ohio), a massive venue which will be showcasing world-class competitions. Each year, the official and most important events happen overseas and the Down Under community should feel left out, despite having its own smaller tournaments such as the ACL Sydney, as well as hosting qualifier events and other pathways to international high level competitions. In Melbourne, the website Silicon Sports which started off as a review blog around four years ago, regularly organises eSports events for the community. Between online competitions on StarCraft II, Dota 2 or League of Legends, Silicon Sports also runs BarCrafts in the city. A ‘BarCraft’ consist of watching StarCraft II in bars. It’s a similar experience to AFL, cricket or soccerfans gathering together to enjoy a good game, share some food and beers. Silicon Sports organised its 22nd BarCraft earlier this month, and frequently put together online tournaments and LAN-parties. Australia also has top quality players including Jared ‘PiG’ Krensel and Ethan ‘Iaguz’ Zugai, who had to go overseas to compete at a top tier competition. Silicon Sports’ founder Lalor ‘rezyn8’ McMahon say, the objective of the organisation is to highlight the awareness of gaming not just as a pastime but also as a professional career path. “We would love to see it get to the point where we’d have contracted players in Australia and a national circuit going around,” McMahon says. “There are plans and events that sort of breach that gap but we’re not seeing anything like what is happening in Europe, Korea or America for example. McMahon works on Silicon Sport in his free time and does it willingly. As he says, if no one does it then the development of an international eSports scene in Australia is never going to happen. Emma Witkowski, an eSports researcher and lecturer with the Game Program at RMIT University in Melbourne, says that the first step towards an international competitive eSports scene begins with the players, who should start considering their chosen games as a serious leisure activity. “I think this is a step that is needed, and where more action can be seen from the industry. The publishers then start supporting the players, and the professional aspect of eSports will bloom from that,” she says. Many Australian players want to become professionals and the game publishers definitely want a footprint in Australia. Riot and Blizzard ANZ have worked hard to create Australia’s own pathways to the World Championship Series for local players. But the challenge also involves fixing the country’s own backyard: getting the infrastructure it needs and a better online network system. Major international tournaments are generally not held in Australia — apart from recent moves from companies like Riot — because of the country’s lack of high Internet speed, which can be extremely costly. “When I was researching World of Warcraft Arena tournament, one of the strongest players was an Australian playing with high ping on a North American server, and was, at the time, one of the top ranking players despite of lag affecting his teamplay,” Witkowski says. Australia has a poor equipment compared to overseas and this problem can halt the development of eSports at an international top level. In the video game StarCraft II for example, there is no dedicated server for Australia. In response to this, Witkowski raises other issues. “Should every country require a local server for “fairness” in competition in terms of the road towards elite level play? This is foundationally part of the same questions met in elite sports. Who had access to the cutting edge LZR Speedo swimsuit — how does that alter who is the ‘best’ at what they do?” she says. Research Fellow in the Microsoft Centre for Social Natural User Interface Marcus Carter says the lack of interest in gaming competition is because of Australia’s small population size and market. “In the past, Blizzard has blamed Telstra for the lack of Australian servers. I expect this is a prominent reason why local Australian players do not participate in international competitive events, and it acts as a meaningful barrier for amateur players becoming professional,” Carter says. The problems go beyond Australia’s technical difficulties. Carter thinks that Australia’s lagging interest in eSports might be due to its overpowering culture of sports. “The broader eSports phenomenon is the transformation of a game from something that is played to something that is talked about,” Carter says. “We already have so many other sports that we are able to talk about and arrange social activities around; it is unlikely that eSports will grow into something mainstream, except for in communities that are not already participating in this mainstream sports culture. Emma Witkowski says that this challenge is at the foundation of each country’s culture. “When I was talking to the European eSports associations about this in 2008 – 2010, their main issue was to be recognised through the national institutions,” she says. Will Australia develop an eSports scene similar to its counterparts? Or is the country doomed to a never ending journey towards an impossible goal? Carter thinks that the country’s gaming competition landscape will grow. “More recently, the opportunities for income through eSports has expanded greatly with many dedicated players able to sustain themselves off of Live Streaming revenue through Twitch and from YouTube videos,” he says. Carter also points out events such as PAX Australia, taking place at the Melbourne Convention and Exhibition Centre this weekend, aim to celebrate gaming culture and host eSports tournaments, which represent a good chance to reach a mainstream audience. For Witkowski, the difference between niche and mainstream when it comes to eSports is a little bit more difficult to see. “Even in the US, I had players tell me they wouldn’t tell their school mates they were earning money playing World of Warcraft Arena. There’s still cultural stigma around being a dedicated computer game player,” she says. PAX Australia will run from Friday, October 31 until Sunday, November 2 and will feature numerous Q&A with developers, showcases, conferences, concerts as well as various tournaments on console games and PC. Tickets are sold out. I’m still very cautious about who I mention my gaming habits to. That stigma is incredibly ingrained in my circles/town. Mention you play 20-25 hours of dota2 each week and you’re labelled a weirdo. Mention you went to the footy, sank 16 tinnies and smashed someone and you’re a champ. You’re a weirdo because you bother with dota2! :-P I don’t think it’s as much of an issue nowadays, though. I and numerous people I know play competitive sports IRL anf esports.